Quick overview A 12-session course for primary aged pupils. It builds on the "Circle Time" process to teach a range of personal and social skills with activities and ideas for follow up work. It includes strategies such as: listening; turn taking; accepting differences; giving and receiving compliments; co-operating with others; and confident speaking to peers. 'What makes this book a potential winner is the way in which the underlying theoretical principles are first of all clearly outlined (no jargon here!) and then are fully developed in a series of practical activities. The book is crammed full of ideas! accessible worksheets! it is excellent! 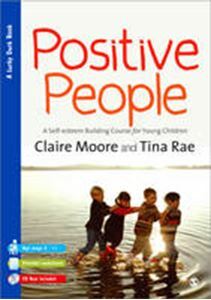 thoroughly recommend it' - Special 'This handbook is likely to be a very excellent addition to resource materials available for primary phase teachers to build on their knowledge of circle time and self-esteem activities. The structured format is very easy to follow and provides teachers with clearly planned activities to enable them to practice and extend their skills in this area' - Educational Psychology in Practice This 12-session course for primary aged pupils builds on the Circle Time process to teach an extensive range of personal and social skills with activities and ideas for follow up work. Strategies to teach include: " listening " turn taking " accepting differences " giving and receiving compliments " co-operating with others " confident speaking to peers.Full lesson notes and beautifully drawn copiable resources provide everything a busy teacher needs to deliver this worthwhile programme of self-esteem activities.